Caroline Buisman and Kate Gibson join JiC for this post on Rwandan General Gratien Kabiligi who was acquitted by the International Criminal Tribunal for Rwanda (ICTR) in 2008. 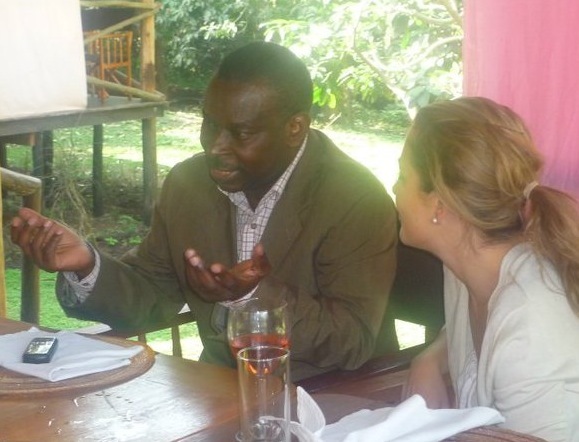 Caroline and Kate were members of the defence team of Kabiligi during his trial at the ICTR. They are now both Defence Counsel at the International Criminal Court. 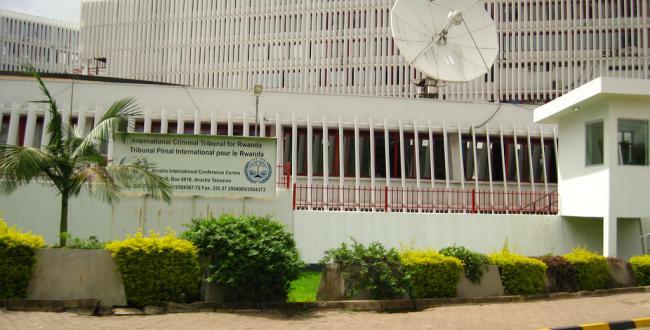 After nearly 20 years in operation, the ICTR in Arusha, Tanzania must finally close its doors at the end of 2014. One burning question left unresolved is the fate of the ICTR’s “acquittees”. Eleven former ICTR-accused remain in a safe house in Arusha, nine having been acquitted, and two having completed their sentences. The longest resident, Mr. André Ntagerura, has been living in the safe house for nearly a decade since his acquittal in 2004. Each is facing an uncertain future. Unlike at the ICTY, where those acquitted routinely return to their communities without great difficulty, the Rwandan government has consistently expressed outrage at the release of any ICTR accused. The acquittal of two former government ministers in 2013 lead to protests on the streets of Kigali. The ICTR itself has acknowledged that the former accused have a legitimate basis to fear returning to Rwanda. However, drawn-out attempts to join their families in Europe or North America have been, in large part, unsuccessful. The ICTR remains relatively silent on this issue. While arrangements were put in place for the imprisonment in domestic jurisdictions of those convicted by the ICTR, little or no forethought appears to have been given as to where acquitted persons would live following their release. One of these eleven is General Gratien Kabiligi, the former G3 of the Forces Armées Rwandaises. Having been imprisoned for over a decade, General Kabiligi was acquitted of all charges by Trial Chamber I of the ICTR, and released on 18 December 2008. The Prosecution did not appeal his acquittal. In the interim five years, he has been attempting, so far without success, to join his wife and children in France, from whom he has been separated since his arrest in 1997. General Kabiligi’s attempt to rejoin his family began on 16 September 2010 at the French embassy in Tanzania. He lodged a request for a long-term visa to allow him join his wife and four children, legally residing in France since 1998. His request was dismissed on the basis that his entry would risk disturbing the public order. This prompted a complicated and lengthy process of review and appeals before administrative tribunals, the Council of State, and the Minister of Interior Affairs. This process, already having spanned a three-year period, is still ongoing. Significantly, in dismissing General Kabiligi’s request for a long-term visa, the administrative court of appeal considered that, although General Kabiligi had been acquitted by the ICTR, he had held an important post in the Rwandan army during the genocide. The court considered that there was no evidence of him having prevented any massacres, even if he was not a direct participant. These same arguments had been dismissed by the ICTR Trial Chamber, which heard direct evidence over the course of six years. The same allegations continue to haunt the General, although he now finds himself without a proper forum to defend against them. As the months following his release have turned into years, General Kabiligi’s attempts to rejoin his family may have become even more difficult following the recent by recent slanderous publications, which appear to have as their source an article published by the “News of Rwanda” on 17 February 2014. The factual errors contained in this article are numerous. 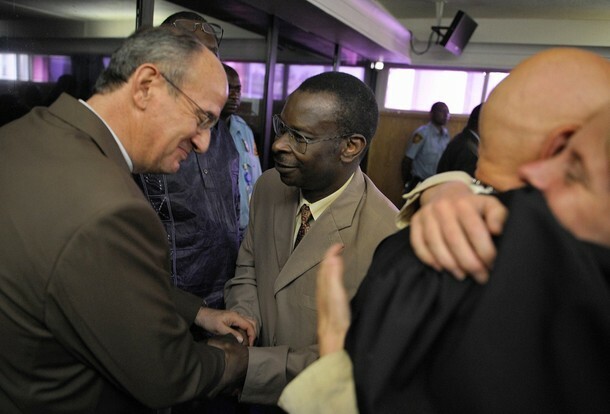 Under a heading calling him “God’s man of carnage”, the article claims that General Kabiligi “was acquitted on December 18, 2008 by the controversial judge Theodor Meron who has been accused of deliberately releasing genocide suspects at ICTR and ICTY.” In reality, the General was acquitted by a panel of three judges composed of Judge Erik Möse, Judge Jai Ram Reddy, and Judge Sergei Alekseevich Egorov. The author claims that “the Tanzanian ruling elite has provided new homes with full police protection at the expense of the Tanzanian taxpayer.” In fact, it is the ICTR which has provided safe house accommodation to the 11 former-accused, as well as paying for the 24-hour security. It also claims that General Kabiligi lives in France, while in fact he remains in Tanzania, and that the former Minister André Rwamakuba lives in the “new homes”, which is also untrue. Of greater concern than these factual inaccuracies are the declarations as fact of allegations contained in the original ICTR indictment of 1997. The article asserts, for example, that General Kabiligi chaired a meeting on 15 February 1994 at Ruhengeri Military Camp, where a plan was finalised to massacre Tutsis, and that he ordered that units be ready for the war to resume on 23 February 1994. These false allegations were rejected by Trial Chamber I of the ICTR in its Judgement of 18 December 2008. Similarly, the allegation that General Kabiligi distributed weapons in Bugarama, Cyangugu on 28 January 1994 was not only rejected by the same Trial Chamber, but was also dismissed by Trial Chamber III in the Cyangugu case. However, perhaps the most troubling aspect of the “News of Rwanda” article is the false claim of General Kabiligi’s association with the FDLR, the Forces démocratiques de libération du Rwanda, a rebel group based in the east of the Democratic Republic of Congo. The FDLR has been accused of criminal activity by both the United Nations and human rights organizations such as Amnesty International. The article claims that General Kabiligi held “secret meetings” with FLDR commanders in Dar es Salaam on the weekend starting 24 January 2014, after he arrived in Tanzania from France. General Kabiligi vehemently denies any association with the FDLR. His fellow acquittees have each written to the ICTR Registrar vouching for his presence at the safe house in Arusha at the time he was allegedly attending these “secret meetings” with FLDR commanders. Leaving aside their defamatory nature, these allegations have enormous personal ramifications for the General. An association with an alleged terrorist organization like the FDLR would almost certainly sound the death-knell for any application for seeking asylum in a third country. Attempts to have “News of Rwanda” print a retraction or acknowledge these false statements have been unsuccessful. As is common in the internet age, one misinformed article has now multiplied, with other news agencies having reprinted and republished the same false statements. To cite but one example: the Rwandan journal “Igihe” published an article with similar content on the same day with a photograph purporting to show General Kabiligi. However, the man depicted is in fact General Déogratias Nsabimana, former chief of staff of the Forces Armées Rwandaises who died in the plane crash of 6 April 1994, which also killed former Rwandan President Juvénal Habyarimana. Having cleared his name before the ICTR, General Kabiligi now finds himself again subjected to false allegations 15 years later, but without access to a courtroom in which to demonstrate their spuriousness. And while he is no stranger to fabricated accusations, his objectively legitimate fear that these new lies will stand between him and his family, make them all the more unacceptable. This entry was posted in Defense Counsel, Guest Posts, International Criminal Tribunal for Rwanda (ICTR), Journalism, Rwanda and tagged Caroline Buisman, Gratien Kabiligi, Kate Gibson. Bookmark the permalink. Excellent and important post. At the risk of sounding completely self-aggrandizing, readers interested in this topic may want to take a look at my article “What Happens to the Acquitted?”, which appeared nearly six years ago. Sadly, little has changed since. I apologise for a rather late reaction. I only now had a chance to read your article. Thank you for sending that along. I was not aware of it and I am very happy you wrote it. It is such an important issue. I see your article dates from 2008. Unfortunately, nothing has changed since – only that the safe house gets fuller every year.